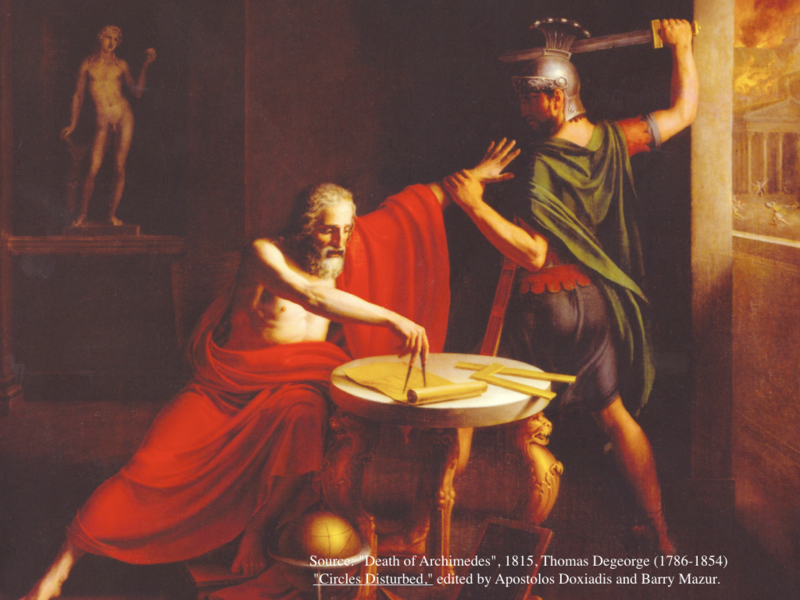 Just uploaded a larger version of my 2013 Pecha-Kucha talk “If Archimedes knew functions…”. The Pecha-Kucha format of presenting 20 slides with 20 seconds time each is fantastic to keep talks concise and to the point. The video has been produced by Diane Andonica from the Bok Center for teaching and learning. The event had been organized by Curt Mc Mullen and Sarah Koch. Was a lot of fun as in one hour , there were about 6 talks on various topics in math (Sarah Koch, Emily Riehl, Benedict Gross, Barry Mazur, Curt McMullen). Not the usual experience, where after 10 minutes, you have no idea any more what the speaker is even talking about. But one also must say that preparing such a talk is heavy as one has to think hard what to say in 20 seconds. There are some more annotations to the slides on this page and a write up on this ArXiv paper.